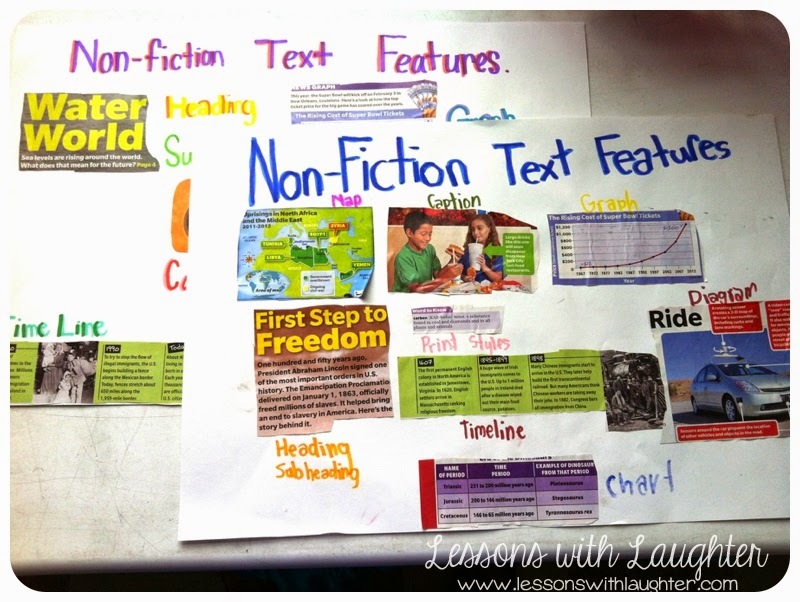 After seeing a pin on Pinterest of a Non-fiction Text Features anchor chart by Julie from Second Grade Style, I knew that it would be a great way to review the text features that we’ve been using all year! We did this lesson a couple weeks before school got out and it went really well. 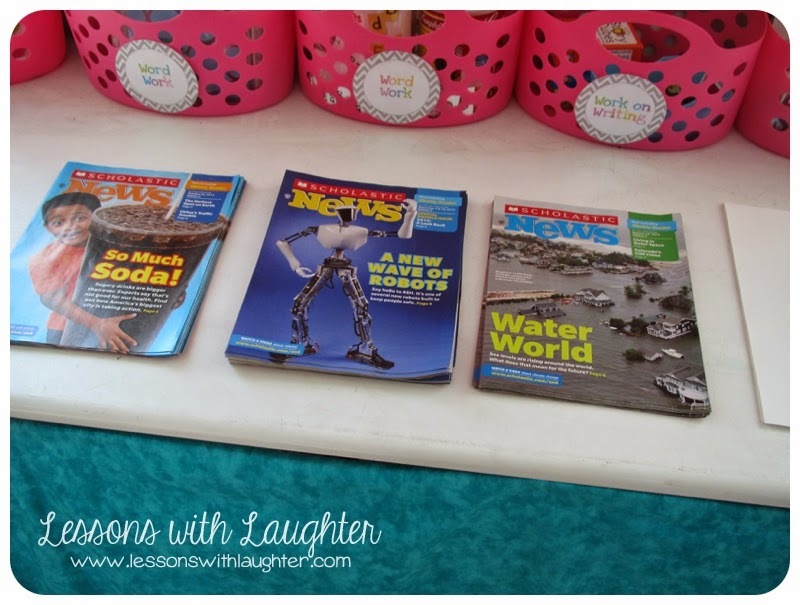 I think next year we will do it at the beginning of the year before we dive into our nonfiction magazines! Our class gets Scholastic News, which my kiddos love! We get one magazine a week, which is great because it keeps us up to date on current news, however we don’t always have time to get to it every week, so I had a few left over at the end of the year! 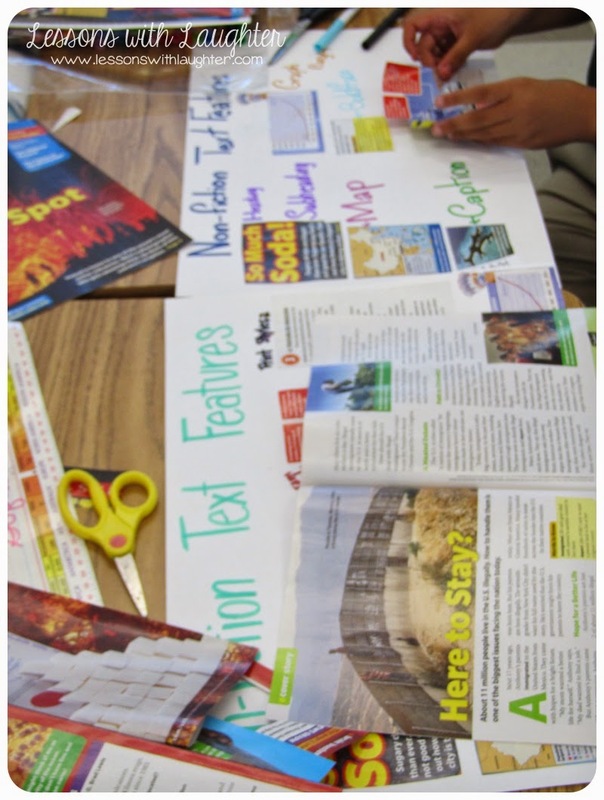 It actually worked out perfect, because after our mini lesson reviewing the different text features, my kiddos got a chance to go on a scavenger hunt and find their own examples in our magazines! They worked with a partner, but they each had to make their own poster. Ginger from Ginger Snaps had a great chart for students to fill out when searching for text features (here). I modified it a bit for my class by adding the question, “How does it help you understand the text?” My students had to write down how the text feature aided their understanding of what they were reading. 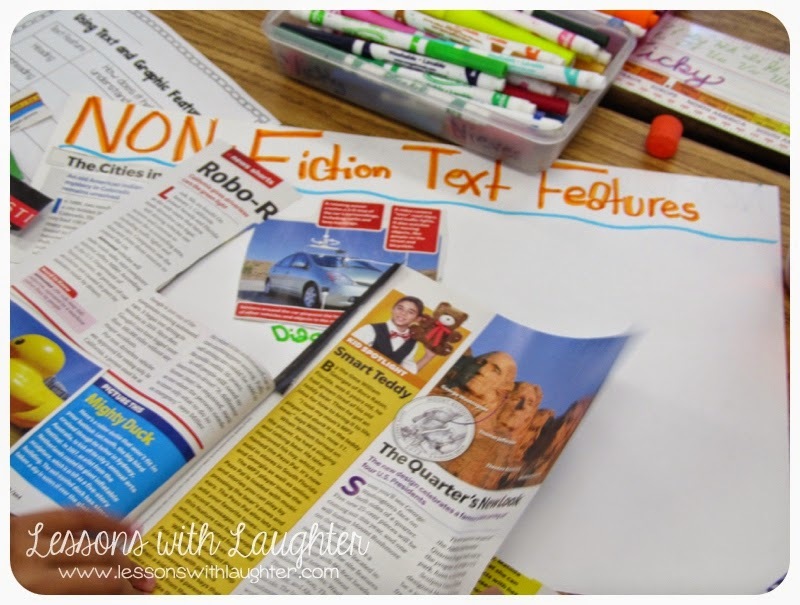 They loved making their own non-fiction text feature posters, and as they were making them I was able to help out my kiddos who needed extra help finding and identifying some of the features. I love using magazines with the kids. It's so real and so much more fun. Cute post. I love this idea! I'm pretty sure I have that pinned as well! 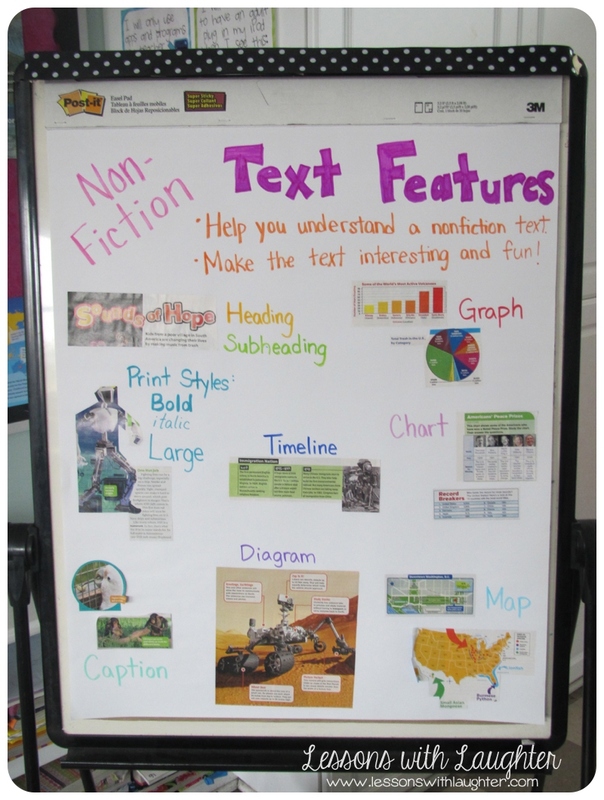 With all of this technology, I've gotten bad about not creating anchor charts, even though I know how much they help. My goal next year is to make more anchor charts (I just have to figure out where to put them!). I just found and joined your blog today! I love it! I do the same thing with my 3rd graders using Scholastic News. They love it! Thanks for the shout out Molly!!! Love this idea! I pinned this a few days ago. This is a wonderful idea! Thanks for sharing.